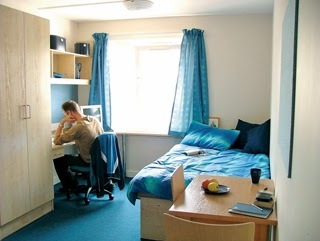 For those moving away from their home town, living in student halls is a necessity, but is it better or worse than living at home, or do both have their equal amounts of pros and cons? Being a student that moved three hundred plus miles away from home, I couldn’t exactly commute in everyday, so I picked the cheapest room in the cheapest halls near to my university; I say the term ‘cheapest’ loosely, for accommodation at uni uses the biggest chunk of my maintenance fee. If I lived at home I certainly wouldn’t miss that amount going out of my bank account every term! However, living away from your parents and family does have its benefits. The first thing to discuss is your sense of independence, even though you now have to wash up after yourself, do your own laundry and remember to tidy your room (or not), you feel better about doing it because otherwise it wouldn’t get done! Additionally, with this independence comes the freedom to choose your own meals (depending on whether you can cook them or not), being able to stay on the internet for however long you want and taking really long showers because your water bill is included in your halls fee! Some things about moving into halls, however, can either be really great or really bad. For instance, unless you have a studio room and are paying a fortune, you will more than likely have flatmates. Often this can be great, it keeps your mind off home sickness and missing your old friends and you also have people to talk to on an evening. Your flatmates are also an immediate friendship group for your fresher’s week so you don’t feel so alone because you’re all in the same boat. However, they can drive you nuts! There will always be the argument about who used the last of the milk, the one person who never washes up and the person who uses all the tea bags and never replaces them. Even if you don’t get on with your flatmates, and trust me, not everybody does, there are always people around halls to keep you company. There are always parties to go to within walking distance of your own bed (probably in your own kitchen) but this means you do have to put up with booming music at three am every Friday and Saturday night, constant karaoke, random ukulele playing and improvised drumming with the bins outside your bedroom window. Despite there being great things to living in halls there are also things you miss from home, like rarely seeing your family because you can’t afford a train ticket home and missing home comforts like live television because you don’t fancy paying the £145.50 TV license a year. Of course I bet the most missed thing is your own bed, there is no comparison to it and I don’t believe anybody that says their hall’s bed is ‘actually pretty comfy’!